My students were allowed to take their candies home, along with the graph, so that they could practice with their parents. Somewhere along the line, those M&M’s had to have been eaten. 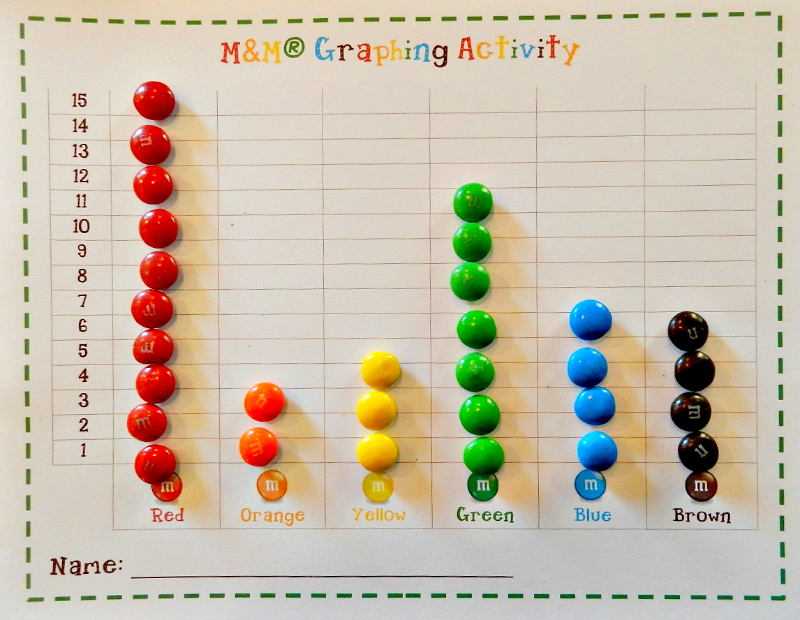 Of course, other candies or colored cereal can be used for this fun graphing activity but I am partial to M&M’s and this free printable was made just for them! I pre-labeled each cup with the child’s name. The plastic wrap is to seal it up for them to take their candy home. Print a copy of the graph in color on white card stock- one for each child. 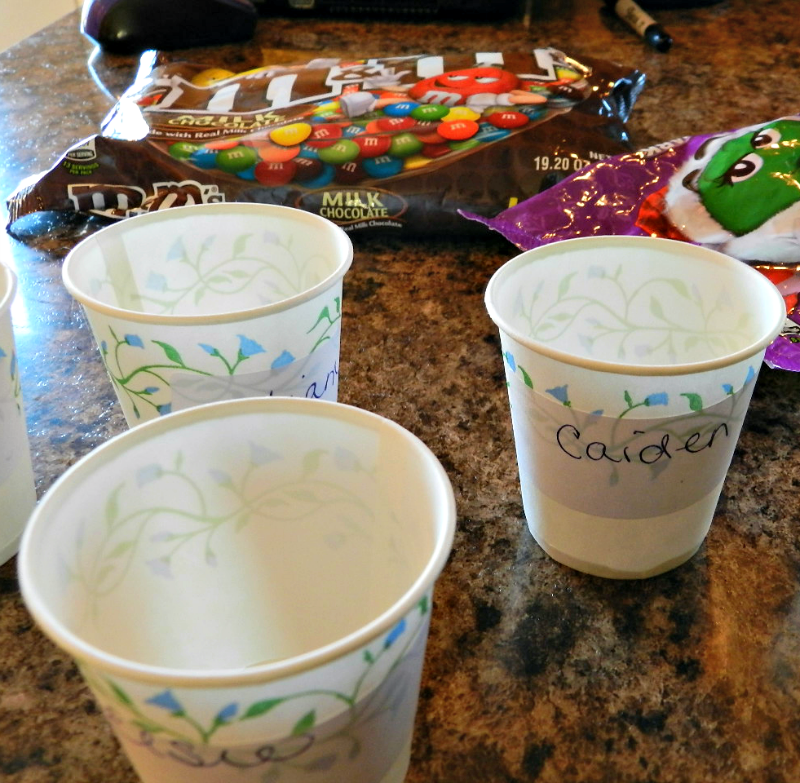 Pour some M&M’s in a small paper cup – one cup per child. 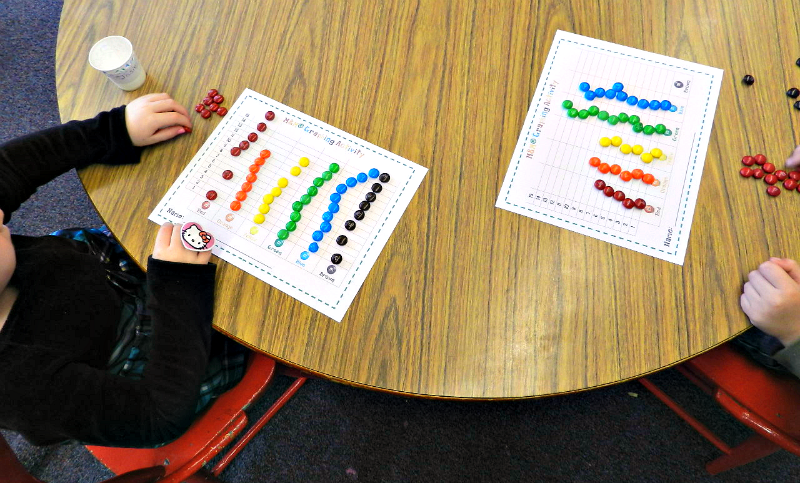 Sit your students down at a table with their graph and candies. Explain to them that they should sort through their candies and place a line of candies on the same bar of the color they are holding. i.e. green M&M’s go on the green line, red on red and so forth. Have them count how many greens, how many blues, how many reds. So, your little ones just got a “taste” (pardon the pun) of how to use and read a graph plus a counting exercise – with a snack afterward! 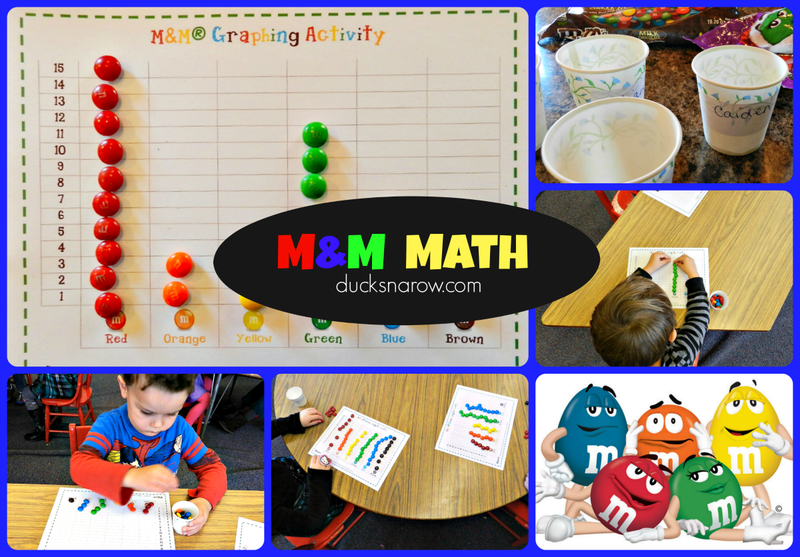 What other ways can you think of to use this graphing activity with young children? 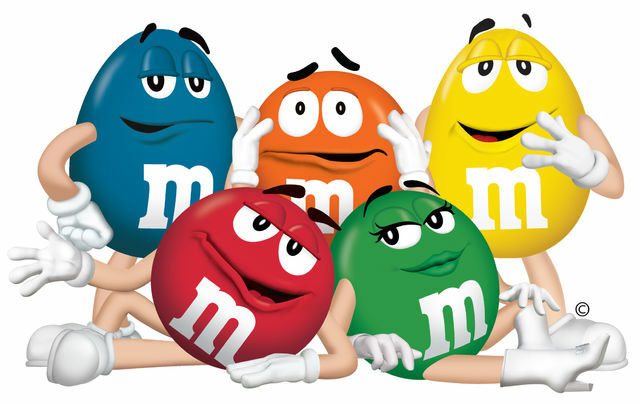 I told you that I love M&M’s right? Well, when I looked into their history I found it so fascinating that I wrote about it! This year I made snowman cookies for a movie night party. buttons for the snowman tummies! 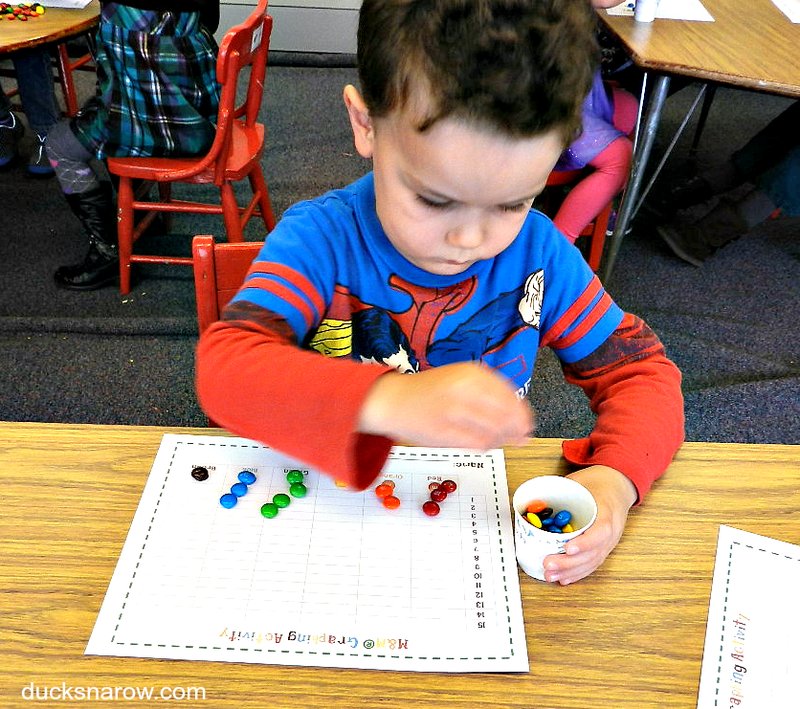 My boys used to love “candy math” activities! Mine never ate while we did the work either but I think knowing they could eat them when they were done helped.